At this year's Embedded World Exhibition & Conference, SECO has been proud to preview the new SBC-B47-eNUC, an eNUC Single Board Computer with the Qualcomm Snapdragon 410E processor. SECO extends its COM Express product portfolio with the introduction of the 3rd Generation AMD Embedded GSeries SoC J Family (formerly codenamed "Prairie Falcon"), on its COMe-A98-CT6 presented at Embedded World 2017. 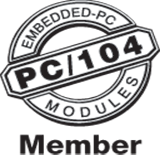 Embedded system integration is a key highlight in the SECO's roadmap. Amongst the most important innovations, SECO introduces an updated version of its Q7-928, a Qseven(r) standard module featuring the NXP(r) i.MX 6DualPlus applications processor that offers top computational and graphical performances given by the low-power consuming ARM architecture. The i.MX 6DualPlus processor is also an option for the SBC-A62-J, a low-end Single Board Computer that exploits the potential of a configurable expansion connector to fully meet the configuration flexibility needs. Both solutions can now benefit from the increased performances and enhanced 3D graphics delivered by the i.MX 6DualPlus processor. The increasing complexity of connected machines and the quick development of IoT infrastructures require enhanced processing power and exceptional efficiency, as well as the ability of handling several tasks simultaneously. Believing in the amazing possibilities of the latest generations of Intel processors, SECO manufactures its Intel-based products to fully meet these computational performance and energy efficiency needs, and conforming it to the most innovative and consolidated standard form factors. The UDOO X86, based around an Intel X86 64-bit Quad Core processor and coupled with an onboard Intel Curie Arduino 101-compatible micro-controller, is 10x more powerful than Raspberry Pi 3 and also has enough power to drive three 4K screens at the same time. It's currently being funded on Kickstarter with over $675,000 pledged so far. UDOO X86 comes in 3 models (Basic, Advanced, and Ultra) and currently starts at $89. SECO, a world leader in electronic embedded solutions, informs that the new NVIDIA(r) Jetson(tm) TK1 Developer Kit announced last week at the NVIDIA 2014 GPU Technology Conference by NVIDIA co-founder and CEO Jen-Hsun Huang is now available for pre-order on shop.seco.com. SECO, a world leader in electronic embedded solutions, is focusing on two different typologies of products at this year's embedded world in Nuremburg, from February, 25th-27th. In its new Booth Nr. 130 in Hall 1, SECO will show its range of best-in-class graphics solutions a long with its products especially designed for the industrial market. San Jose (California), GPU Technology Conference 2013, 18th - 21 th March, 2013 During the NVIDIA GPU Technology Conference 2013, SECO unveiled in a first-ever preview of its latest energy-efficient DevKit - powered by the NVIDIA(r) Tegra(r) 3-based Qseven module on a Mini ITX form factor carrier board - the SECO mITX GPU DevKit.